Why not get married on Vancouver Island!?! 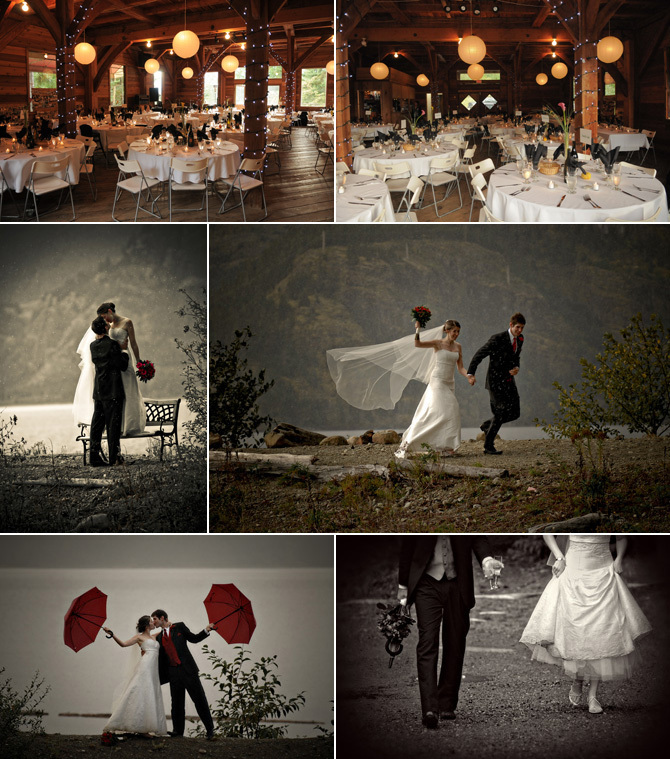 Vancouver Island is amazing place with countless wedding venues. 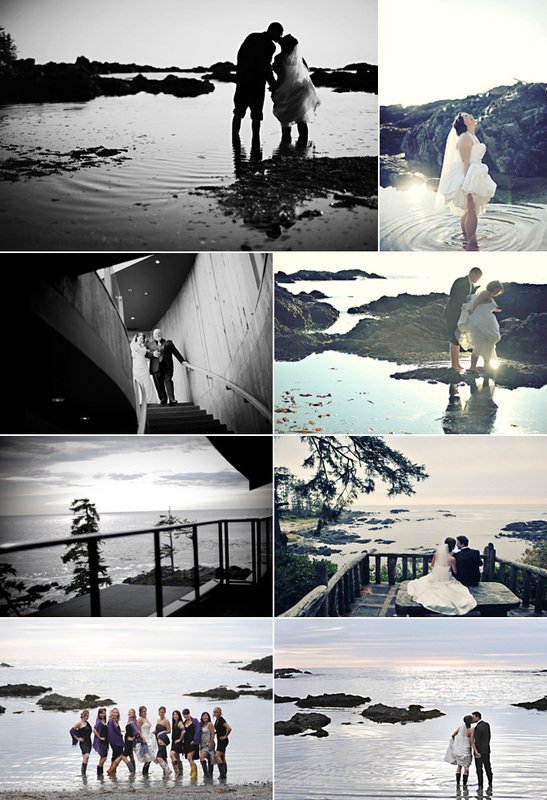 I've been a part of many weddings all over Vancouver Island and have fallen in love with a few locations for various different reasons. I think it's about time I shared. 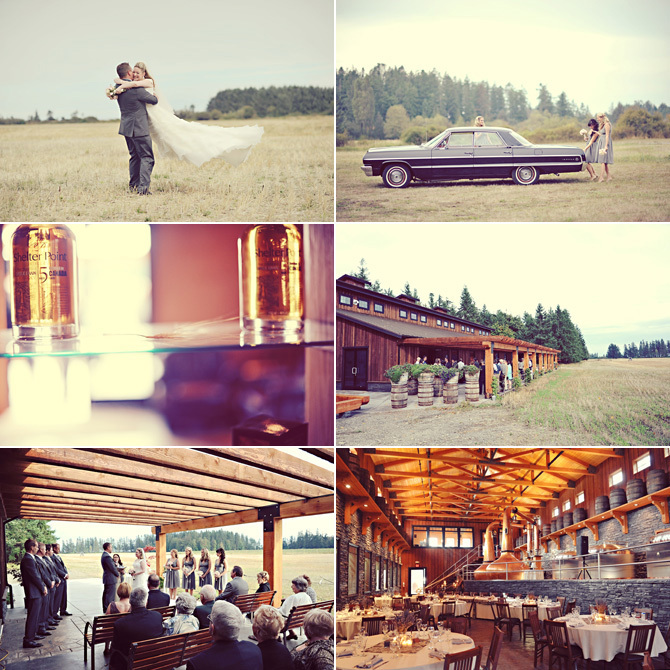 Here are my favorite Vancouver Island Wedding Venues. (Click on the resort/venue name to take you directly to their website) Of Course, Dolphins Resort in Campbell River (images below). I've posted about it countless times, but it is truly warm, rustic and charming. Cozy little cabins, breathtaking views and delicious food... not to mention a staff that are excited to make your wedding dreams come true. Or maybe you're more of the big open fields and whiskey distillery type. Shelter Point Whiskey Distillery has recently started catering to weddings and it is an amazing and unique venue for a Vancouver Island wedding. How about a backyard of a historic Heritage house along the Campbell River? Haig Brown House might be more your style. You may like another heritage site in the beautiful Comox Valley, The Filberg Heritage Lodge and Park where deer roam freely, and the quiet beauty of the park will immediately make you feel at home. You may be looking for something more raw. More wild. More remote. Another favorite is The Black Rock Resort in Ucluelet. It's beautiful setting overlooking the wild west coast waters makes this venue somewhere I always look forward to visiting and shooting. It's cliff side hiking trails, beach access and beautiful rooms make me happy! Maybe you want to go to Hornby Island? The Seabreeze Lodge might just steal your heart. Private and picturesque bring all of your favorite people here and celebrate all weekend long. Maybe you want your wedding photos at one of the most beautiful places I've ever been?? Helliwell Park. Another gem is Strathcona Park Lodge, just outside of Campbell River. I love the rustic setting, the countless outdoor adventures the beautiful light and the incredibly sweet old Barn that can be seen here set up for a reception. Love the mountains? Get married at Mt.Washington. Getting married on what a mountain top has never been better. I had never been here until this year, but then had the great fortune of photographing two weddings here. Hatley Castle is simply divine. Get married in a castle??? on in Victoria, Vancouver Island??? OK.